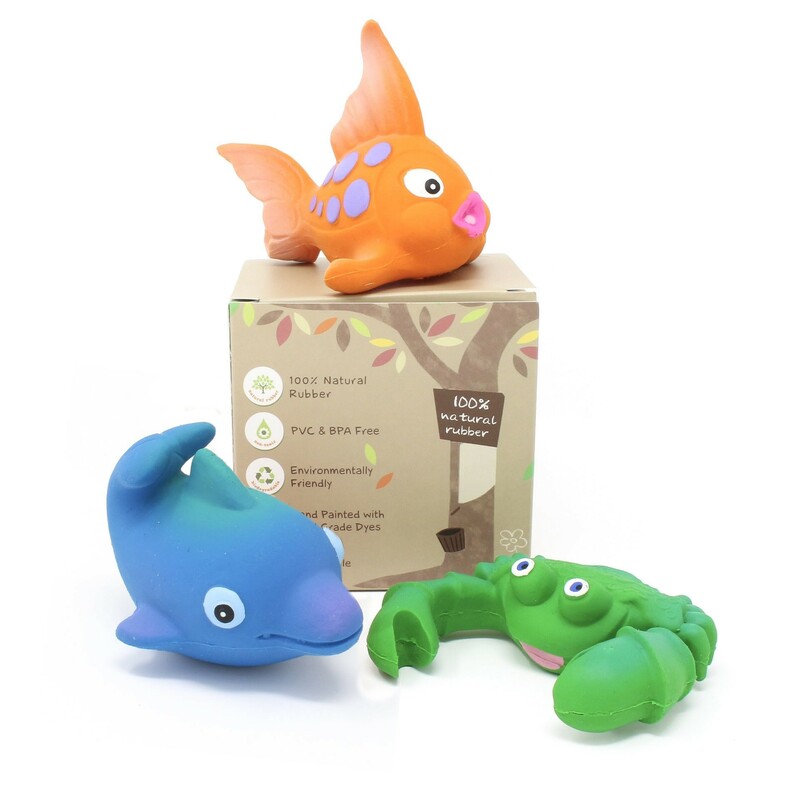 A set of 3 natural rubber ocean toys. Moulded and made form natural ingredients by hand and then hand painted using food grade dyes. A fabulous, sustainable and eco friendly bath toy set for your children to play with. Lovely and colourful and with no holes so they won't fill up with mould. We love the bright colours, the big eyes and the squidgyness. Brilliant bathtime fun. These colourful toys happily double up as teething or pram toys too due to their rubbery nature. Please note that the animals in this set may vary from those shown in the images. Suitable from birth, free from PVC, BPA and plastic based chemicals. 100% natural rubber from the Hevea tree.